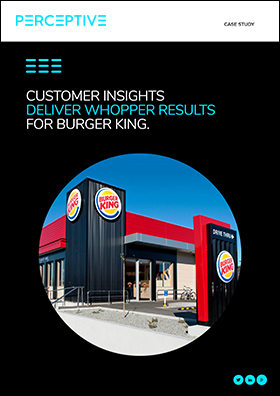 Customer insights deliver one of Burger King’s strongest financial years ever! Faced with a rising number of competitor outlets and new franchises landing on Kiwi shores Burger King had to evolve. Fuelled one of BK’s strongest financial years ever! Unlocked profitable, new product opportunities. Complete the form below to get the case study.